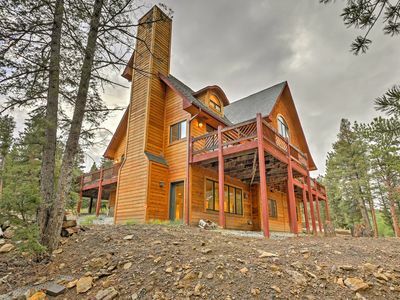 Sneak away from the stresses of everyday life for a relaxing retreat at this Hartsel vacation rental! 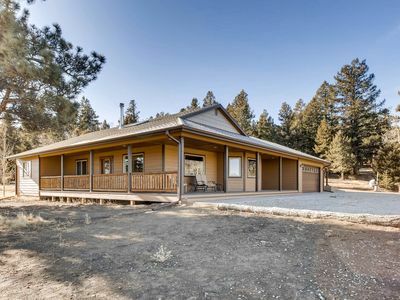 This 4-bed, 3-bath house boasts a large living room, wood fireplace, full kitchen, fenced-in yard, and more - making it the perfect home base for 8 guests plus your pets. Admire the mountain landscape from the deck, or explore the land yourself with an ATV trip down the National Forest trails. 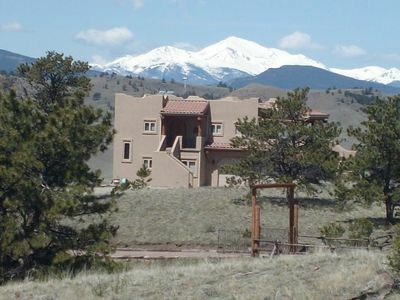 While you may feel secluded in the Ranch of the Rockies, downtown Buena Vista is just 25 minutes away! 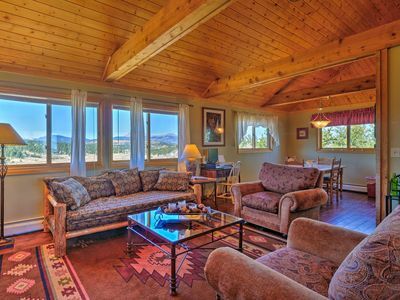 Aptly named, 'Top O' the Ridge Retreat' is a charming getaway perched on a ridgeline overlooking the Rocky Mountains. Unobstructed views offer a unique perspective to admire the sunsets, watch for wildlife, and enjoy Colorado at its finest. Inside, you'll find over 2,700 square feet of well-appointed living space. 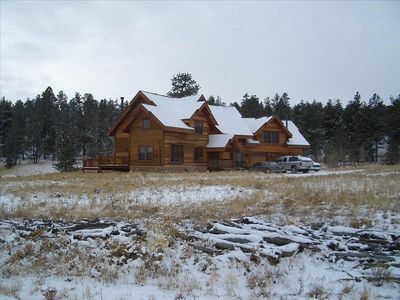 During the downtime, unwind in front of the flat-screen TV or by the wood-burning fireplace in the living room. 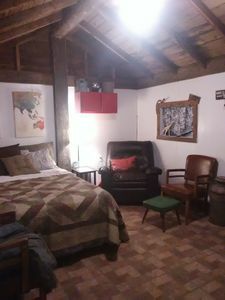 While you relax, the kiddos can play in the game room downstairs - complete with board games galore. Refuel friends and family with a home-cooked meal each evening. 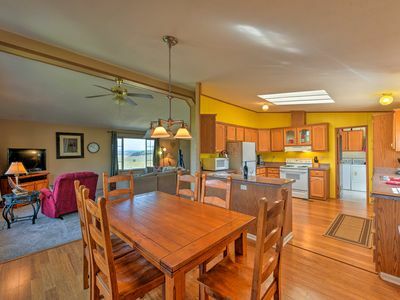 The kitchen is fully equipped will all appliances necessary to assist with any dish. When the sun sets, take turns looking up at the night sky through the telescope, until tired eyes pull you back inside to rest. 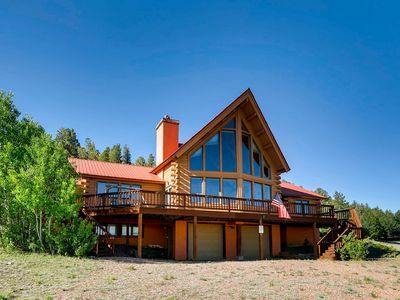 This home is secluded in a rural setting, while still being conveniently located near vast recreation activities including white-water rafting, hiking, mountain climbing, fishing - the list goes on! Bring along the ATVs and explore the Rockies! 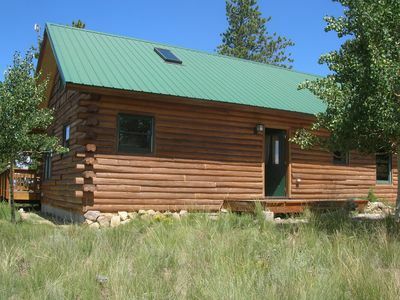 The National Forest Service trails are just minutes the house, so you can tackle the terrain without traveling far. 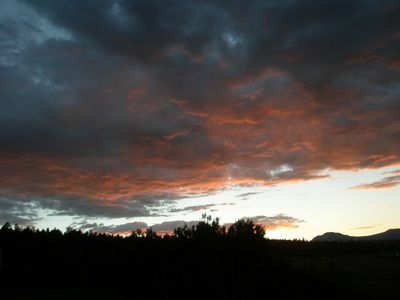 Drive just 25 minutes to reach Buena Vista. This colorful town is home to hot springs, white-water rafting, local shops, charming restaurants, and more! The Arkansas River is known for gold-medal fishing and white-water rafting. After Noah's Ark rafting trip, soak your sore muscles in the Mt Princeton Hot Springs. 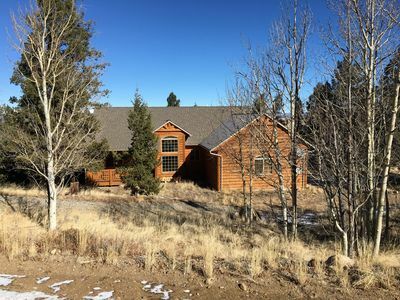 The retreat's location in central Colorado means you can access the best of the state in less than 2 hours. From the historic streets of Leadville to the powdery slopes of Breckenridge, Monarch, Ski Cooper, and more, this area is quintessentially Colorado! 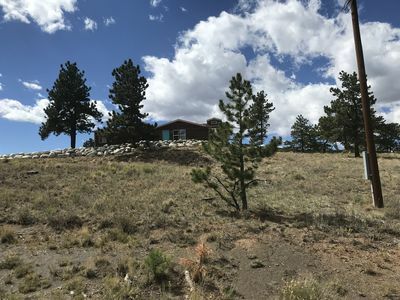 Other top attractions include the Royal Gorge, Florissant Fossil Beds, Taylor Park, and Browns Canyon National Monument. Not to mention the many "14ers" in the area if you're up for the challenge! 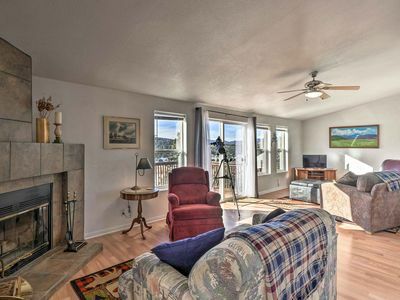 - Amenities include a fully equipped kitchen, free WiFi, flat-screen Smart TV, telescope, board games, second-floor deck, covered patio, fenced-in yard, garage parking, driveway parking, and more! 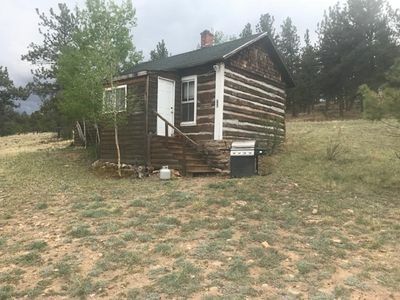 - Access to Ranch of the Rockies amenities including 2 picnic areas, RV dump facilities, a dog run, and private reservoir for fishing! 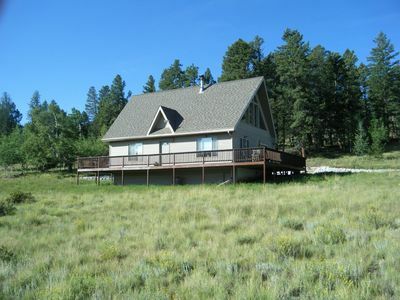 - Wonderful location just 25 minutes outside of Buena Vista! 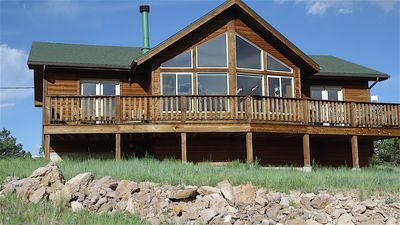 Easily access The Arkansas River, local 14er's, shops, restaurants, and top attractions in the area!